The “Dynamic Tower” was proposed by Israeli-Italian architect back in 2008. 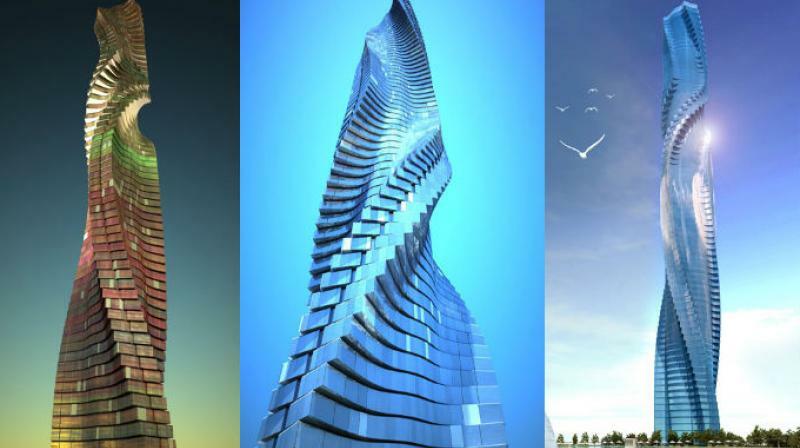 Israeli-Italian architect David Fisher proposed the Dynamic Tower — a 420-metre, 80-floor rotating skyscraper back in 2008. It was proposed back in the day as the world’s first pre-fabricated skyscraper with 40 factory-built modules for each floor. It appears like the plan has finally met approval. News agency What’s On claims that the architectural firm behind the 80-storey rotating building, Dynamic Group has confirmed that the structure will be built by 2020. Apparently, each floor in this building will be designed to rotate independently (maximum of 6 metres per minute), resulting in a changing shape of the tower. The entire tower will be receiving power from wind turbines and solar panels. They could generate up to 1,200,00 kilowatt-hours of energy, says Fisher. Wall-Mounted or Floor-Mounted WC (Commode)? Rajeev Kumar on Wall-Mounted or Floor-Mounted WC (Commode)?